Try in your local pc or your VPS =) is better. 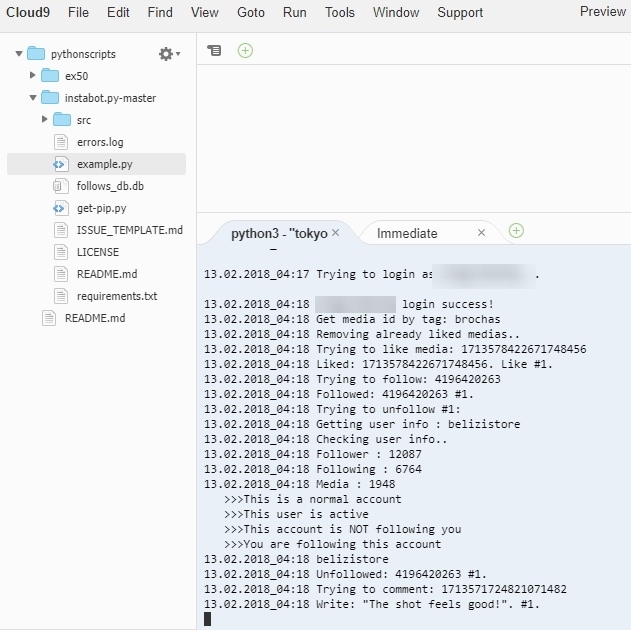 in pythonanywhere not work for me. only in local with proxy. Is a good option for free users. Hey, Thanks for the bot. I will use it. 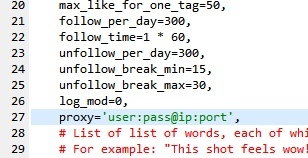 how to set this bot that it can follow people every 60 seconds? Is that real? Is that 100% FREE and FREE FOREVER?